This seems to be the year of the high powered variable voltage box mod and it’s nice to see Innokin release a great contender in that market with their new Cool Fire IV. It’s a crowded field, though, and the most important question is whether the Cool Fire IV has the goods to compete with the offerings from Eleaf, Smok and Sigelei to name a few. I recently purchased a Cool Fire IV from Smoktek for the purpose of this review. The Cool Fire IV is designed with the vaguely pear-shaped cross section that has become a popular style. It’s a good functional design in that it is comfortable to hold and use while minimizing the size. The rounded edge is necessary due to the tubular design of an atomizer or tank, while the flat edge simplifies button and screen integration. The thickness of the flat side is slimmed down to what we can assume is just enough room to house the electronics and a large enough surface for the display and buttons. A colored aluminum surface comprises the main part of the Cool Fire IV body, while matte silver wraps around the top, one side and bottom. The brushed aluminum surface, available in six colors, has a pronounced texture, making for good looks as well as resistance to fingerprints. Vents for heat dissipation are on one side while a silver Cool Fire IV badge adrons the other. A cutout in the top corner creates a secure loop for a lanyard attachment, which is a great feature. The top face is pretty typical, with a 510 fitting surrounded by a recessed well. Several notches on one side of the recess allow air flow to the bottom of the atomizer, although the bottoms of atomizers I used it with did not make contact with the top of the device anyway. The 510 connector has a spring loaded center pin and atomizers thread on securely for a good connection. An adapter is included for compatibility with eGo style clearomizers as well. The bottom of the Cool Fire IV has a feature that we haven’t seen often – an on/off switch. Given the fact that the device can also be turned off with three presses of the fire button, I’m not sure how much use this switch will get. Suffice it to say that a physical on’off switch combined with some of the button features that we’ll get to in a moment, make this a very pocket or backpack friendly device. Size and in particular weight conspire to make the cool fire just a little bulky to be tossed in a pocket, though. At 5.15 ounces it is definitely noticeable in a pocket, although the rounded edges do help a bit. The perfectly flat bottom makes it a great desktop device however, and it does not tip easily. Another feature that makes it great for the desktop is the placement of the mini USB charging port on the side rather than the bottom, so it can still stand up while charging. It can be vaped while charging as well. Operating system design continues to evolve with variable wattage devices and the interface on the Cool Fire IV is one of the best I’ve seen – once you figure it out. As has been the case with a number of devices I’ve tested, the miniature manual is of marginal help and in this case completely incorrect on an item. A display sits between three buttons and a USB charging port on one side. We’ll start with the fire button, which does just what you would expect, send power to the atomizer. 3 quick clicks of it also turn the device on and off. 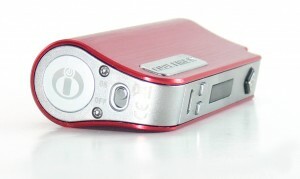 The button also has a tiny backlight that changes from green to yellow to red indicating the remaining battery charge. The – and + buttons are just a little more complicated. Clicking either of them does nothing, causing some momentary out-of-the-box consternation. Pressing and holding for a few seconds is necessary to engage the adjustment function, allowing the increase or decrease of voltage by .1 volt or wattage by .5 watt increments. I really like this feature, as it prevents the inadvertent changing of output that happens on many devices. Holding both the – and + buttons for a little over 3 seconds flips the screen. The manual instead states, however, that holding in the + button switches the device to variable wattage mode. Nope, it just engages the adjustment as mentioned above. Holding + and the fire button change it to wattage mode. – and Fire change it to voltage mode. Innokin (and they are not alone in this) really needs to pay more attention to the details of their manual. I’d laugh it off with a cheap knockoff device, but the Cool Fire is well built, good looking and nicely packaged, which makes it seem far more expensive than it is. Why ruin it with a cheesy manual? Okay, enough of that rant. The display on the Cool Fire IV is pretty standard for contemporary VV/VW devices. Voltage or wattage setting is in larger print, while atomizer resistance and computed voltage or wattage is in smaller print. I like this type of display, as it offers real-time information on how voltage and resistance affect power output. The display also shows a graphical representation of battery charge. A puff timer is displayed when the fire button is pressed and for a second or two afterwards. I have never really seen the need to know how long I inhaled for, but it’s there if needed. 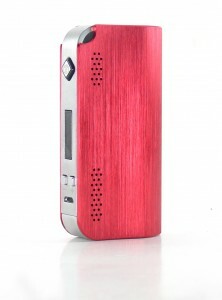 As with many of the other small box mods on the market now, the performance of the Cool Fire IV is impressive. The 40 watts of power are more than enough to fire anything that I want to vape and the battery life is excellent for a device this size. I have been primarily using it with a Kangertech Subtank Mini with a 0.5ohm coil head. At 20 watts it’s a great vape and the Cool Fire manages that flawlessly. I’ve get a couple of days and several tank refills out of a single battery charge with this combination, and that’s respectable. Great battery life and USB charging capability go a long way towards making a device one that I pick up first when I head out of the house and the Cool Fire IV meets those requirements well. While the Cool Fire IV doesn’t really break any new ground in terms of performance, it still impresses as a a device that brings the complete package for an exceptionally reasonable price of $40. Only a year or so ago, Innokin was practically in sole possession of the variable voltage box mod niche with their MVP. Unfortunately we can’t say the same for the market that the Cool Fire IV is entering. There are quite a variety of devices that this newest Innokin device will be competing with and perhaps the best we can say is that it is no better and no worse than the rest of them. For $40, though, the Cool Fire 4 is a good, solid, pocket friendly device with plenty of power. Being the best device in it’s class may not even matter. The Cool Fire IV is an excellent device for new users and will certainly find it’s way into the pockets of veteran vapers as well. 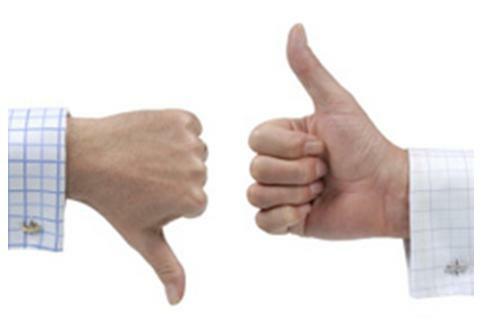 The price, performance and features make it an easy choice, even if there are a lot of easy choices. 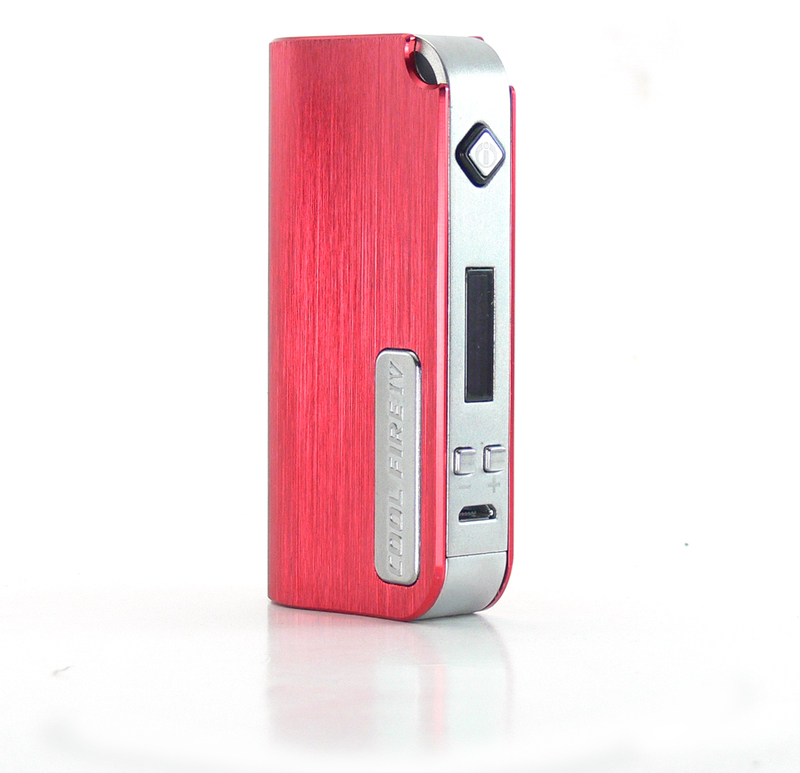 It will definitely be a device that I will be recommending to those looking for a little more kick from their vaping. The Cool Fire IV review above was purchased from Smoktek for the purposes of this review.